Easy Edible Gingerbread Cookie Dough made without flour. 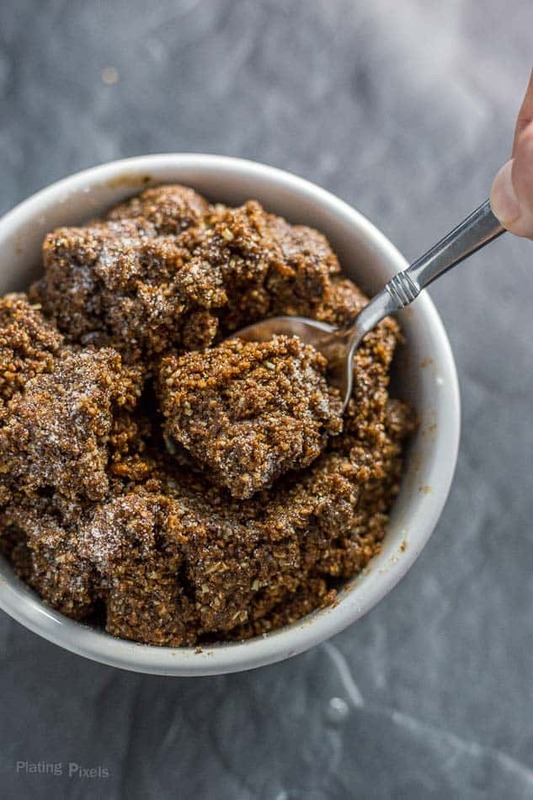 Includes oats, butter, molasses, brown sugar, and ground ginger. No eggs, so you can eat this cookie dough raw. 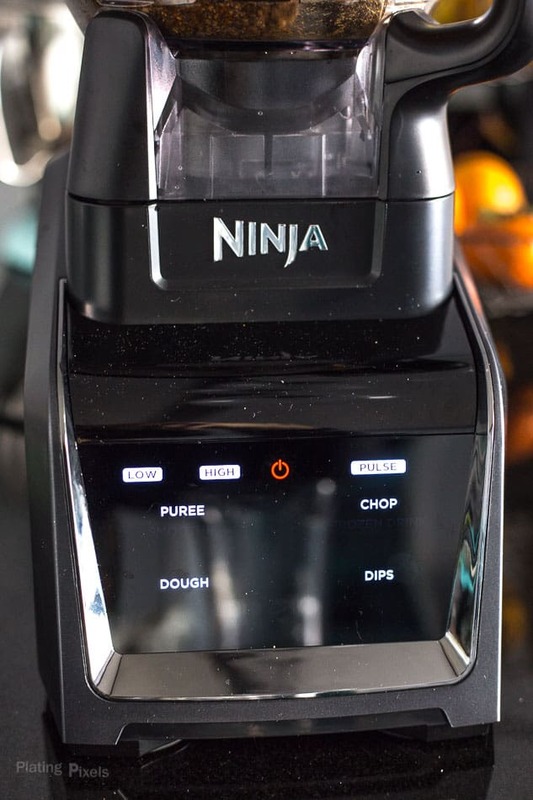 This post was created in partnership with Ninja Kitchen System. All opinions within are my own. This holiday season has me extra excited for seasonal recipes. Fall flavors and spices are a perfect way to cozy up during the cooler weather. Christmas cookies are a favorite of mine and were an essential part of the holidays growing up. This Edible Gingerbread Cookie Dough honors that tradition in a fun and unique way. What’s not to like about a cookie dough mixture that you can eat. I’ve seen a few edible cookie dough recipes, and have always wanted to try them. The main factor is the absence of eggs, allowing you to eat the dough raw. Most of the recipe I’ve found include all-purpose flour as part of the dough. Maybe it’s just me, but I prefer not to eat raw flour. 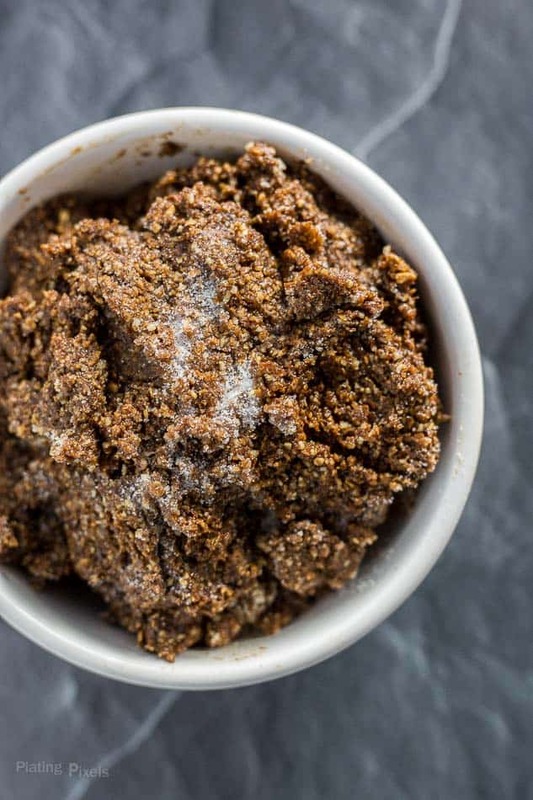 There’s a simple alternative in these Edible Gingerbread Cookie Dough. Oat flour is used instead, making them more wholesome and gluten-free. To make the homemade oat flour, I used the Ninja Intelli-Sense™ Kitchen System with Auto-Spiralizer. Precisely calibrated patterns of pulsing and pausing, combined with pre-programmed speed, power, and torque for each attachment create everything from fresh salsa, pizza dough, margaritas, ice creams, dressings, sauces, smoothies, soups, and of course Edible Gingerbread Cookie Dough—all with a simple tap. It features an intuitive touchscreen that responds to your touch and allows you to select between vessel-specific Smart Programs and manual options. For this recipe, the Precision Processor™ (food processor) with blade attachment pulses the oats into oat flour. Then change to the dough attachment and add the remaining ingredients. The DOUGH programs perfectly mix the ingredients into Edible Gingerbread Cookie Dough. Easy edible cookie dough made without flour. Includes homemade oat flour, butter, molasses, brown sugar and ground ginger. 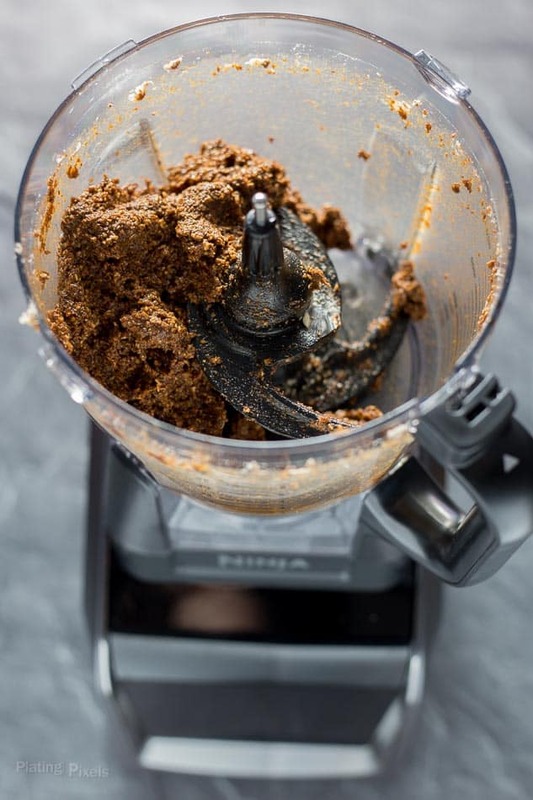 Place oats, butter, brown sugar, molasses, ground ginger, cloves and salt in a stand mixer or food processor with dough attachment. Mix until well combined or about 1 minute, scraping sides as needed. Roll dough into 1-inch bite-size balls, then coat with sugar. If you don't have oat flour on hand, simply pulse 2 1/4 cups old fashioned oats in a food processor until fine. Omg this looks absolutely amazing, I’m so making this next weekend! I looooove anything gingerbread! This looks like the perfect snack for watching Christmas movies! 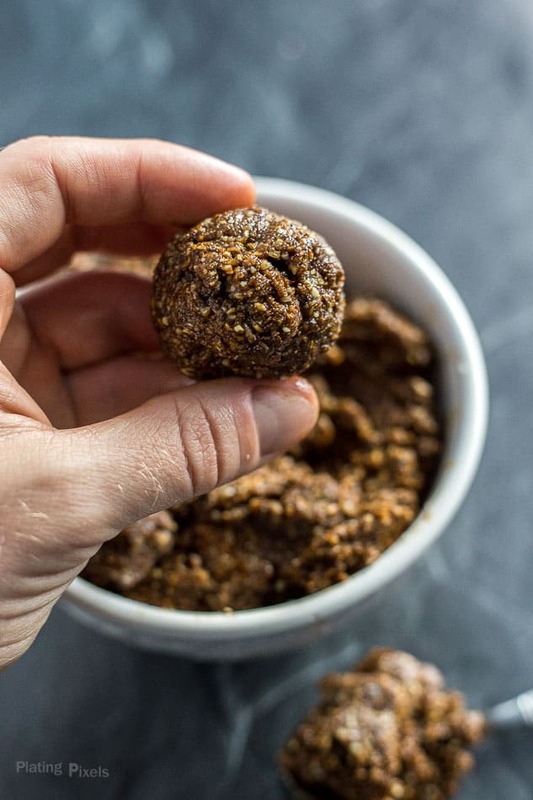 I am not a person that eats raw cookie dough but I love oats and the spices you’ve used in this recipe. Energy bites are a good treat in our home so we will love this for sure. Your dough reminds me of our Lebkuchen dough to make cookies, it has the same shine and color. I wouldn’t mind trying your edible dough right now.